According to Escentual, the fragrance is meant to be the masculine counterpart to Hermès Eau des Merveilles: "This is for the man who has his feet firmly on the ground, but his head is in the stars." What struck me when I smelled Terre d'Hermès was how accurately the smell of the finished product could be determined by the information given above; a rare thing, since most official perfume descriptions leave me scratching my head and wondering if the writer had actually smelled the fragrance. That is not to say that it wasn't a surprise, because it was, but it was the sort of surprise that comes from ignoring the obvious. It smells very much like a Jean Claude Ellena fragrance (minimalist, comparatively transparent), it smells like all of the notes listed in the description, and while it smells nothing like Eau des Merveilles, they share a similar kind of feeling: an airy outdoorsiness, the smell of warm skin, and a kind of clean finish that happily doesn't evoke laundry soap. So my description of the scent itself is sort of superfluous: it starts with citrus, sparkling and mildly sweet, and nothing like so sharp or high-pitched as Jardin Sur Le Nil. Then comes a whole rush of notes all at once: pepper (lots), cedar (ditto) and patchouli (thankfully subdued). Over the next hour, everything blends and softens and gets more indistinct. There is warm earth, and warm rocks, and wood, and a brief hint of greenery. After an hour or so, there is the suggestion of smoky-dusty gunpowder. It is not a deep fragrance, exactly, but nor is it wispy and ethereal; it is somewhere in between, and fairly accurately corresponds to the image of a man with his feet on the ground and his head in the stars. It certainly has a more forceful presence than Eau des Merveilles (and better lasting power). I should not think it is too masculine for a woman to wear, but will be very interested to see what others think on that subject. For that matter, I always thought Eau des Merveilles was unisex, and was surprised to discover that Hermès lists it on their website as a women's fragrance. It is beautifully done. The primary reason that I am such a huge fan of Jean Claude Ellena is that he always knows when to leave well enough alone. It is very nice to see that the first major fragrance release from Hermès since Ellena became the in-house nose reflects that, and I hope we will see the first major fragrance release for women very soon. Terre d'Hermès will be available in 50 and 100 ml bottles of Eau de Toilette. I forgot to ask about the price when I was at the boutique, if you know, please comment. I'm sure I'll end up buying it regardless. I believe most of the Hermès boutiques in the US are to have it in stock by March 13. Bonus: if you missed it earlier, check out the Terre d'Hermès website [no longer active, sorry! ], which as of this moment is still ticking down the seconds until the fragrance's official release on March 4. Wonderful review! I can practically smell the scent based on your description. Can't wait to try it. It sounds superb. Thanks Robin, this was a lovely surprise! Looks like you beat me to the boutique. I'm very excited for this fragrance, but I hope it's cheaper than Sur le Nil, at least. The bottle looks like it has an orangish tint to the glass, am I correct? I think the bottle is gorgeous as well. That is a gorgeous review, NST. I think I might like this for me—or D. As for Sur le Nil—I wish JCE'd gone a bit further somehow, any how. But it doesn't matter, because my daughter 'borrowed' it. M, I hope you will like it, but since we are EFT I can't be sure. I wish I had asked the price. Sur Le Nil only came in one size, though, right? At least you can get this in 50 ml. I thought the glass was clear, but was paying more attention to the juice than the bottle. It has a strip of metal (or something with a metal finish) along the top that you can sort of see in the picture. From the picture, guessing that they've done something similar to what they did with the Hermessences & put color along the bottom that reflects upward. L, you might well wish they had gone further with this one too. It is supposed to be the big mainstream commercial fragrance release, unlike Sur Le Nil or the Hermessences. But given that, it is a great fragrance, considerably more interesting than your average mainstream commercial fragrance release. But I wouldn't pay the price of the Hermessences for it. Of course, I'm assuming it won't cost that much, but I actually have no idea. And it isn't one of those scents that catch you with the top notes and then turn boring. It opens just fine, but is much nicer after an hour. R – did they have samples available or did you have to make your own? And what do you think about the KoP boutique? Theres only one guy who's not stuck up and he actually gives me a whole bunch of samples when I ask. But everyone else is very pompous and probably for no reason. I'm sure they can't afford the stuff either. R, it sounds wonderful! Thank you for such a lovely review and a great description. I love what JCE has done at Hermes, and this sounds like another wonderful scent from him. I better get my preorder in, but I need to find a nicer boutique than the one in Las Vegas to order from. I've ordered hundreds of dollars of stuff from them in about 60 days, and gotten not ONE sample. I feel like a spoiled shopper saying that, but it's just mildy irritating. Made my own. A young male SA was there, and he was very nice. I've had mixed experiences there. In general, they are much nicer in the NY boutique. BTW, was wrong about Sur Le Nil: you can get a 50 ml at imaginationperfumery for $45. Not bad. I think you will like it, K. Personally, I'm waiting for it to hit the discounters. I'll pay full price for the Hermessences since I've no choice, but for everything else, I'll wait. Hey, get back to work. You know, that is strange. In the NY store, they hand out samples if you ask, even if you don't buy something. Maybe you just need to ask? Hi, everybody! I paid 44 euros for my 50 ml. bottle. It is around 52 USD, but I have the feeling that fragrances are just slightly cheaper in Europe. The 100 ml. bottle was 66 euros. Well, I agree about pompous sellers, but, surprisingly, I have encountered many more of those in regular perfume shops than in my Hermés boutique in Madrid. Most of the sellers are really nice, specially a Japanese girl who gives me lots of samples even when I don´t buy anything! But I ALWAYS ask for samples in perfume shops, they are supposed to give them to customers. I totally agree about the mineral aspect of Terre d´hermés and yes, perhaps it reminds me also a little of Eau des Merveilles as well as of Bigarade, but that may be for the orange. Curiously, I always think of Merveilles as a very feminine fragrance, but a friend of mine think that it is as masculine as the rest of my scents. 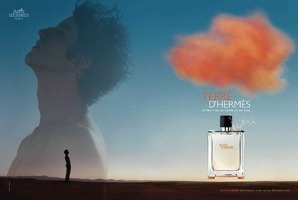 Anyway, I think that Terre d´hermés is very suitable for women. but I duno about other places, Tenerife tries to rip you off. Asked, nada. Ordered like four times, zip. Just odd, so I think it's just this one shop. I'm trying another one next time. As usual Robin, a fabulous review. I am really looking forward to trying this scent. I am hoping that it's in the stores in Leeds this weekend. Re: Patty's sample problem–the Boston boutique seems very generous. When I bought Ambre Narguile there, the SA gave a full set of the boxed Hermessence 4 ml “samples” not only to me but to two women with me, who bought nothing. And I had the impression he would have done so even if none of us had bought. Maybe try NY? They have always included samples when I've asked for them. Do come back & comment if you get the chance, would love to hear a man's opinion! Doblis is lovely, but doesn't appeal to me — luckily! Can't afford a numbered bottle, LOL! Thanks for the great review, R! I'm so looking forward to this one, and I stopped in at the Boston boutique yesterday, but they won't have it for another couple of weeks. I didn't ask for a sample; I think that depends on the salesperson, actually. There is one very nice SA there (also mentioned by Lilybp above), but he was busy when I went in, and the woman who came to answer my question obviously did not want to waste any further time on me. I have to admit, though, that my shopping confidence had already been a bit dampened by my immediate faux pas upon entering the store – I mistook the security guard for an SA! LOL! Well, he was a nice, presentable young man, all dressed in black. How was I to know? Hope they will get it soon. Might be worth calling to see if they have a tester next week since my boutique has one already. Well, a little late but a while ago my weekend edition of FT called “How To Spend it” has a small inset of Jean Claude and how he likes truffles. Can't print it all here due to copyrights, but in summary, he loves truffles, he has a secret supplier from Drome in Provence, it's the inspiration for his Terre d'Hermes, he uses truffles to make risotto and he serves it with Vouvray instead of red wine. Ah, thanks so much for posting, that is very interesting and I can completely see the reference to truffles. Wish he'd drop by and a) make me a custom perfume and b) cook me dinner. Oh let's go for it! Jean Claude, this message is for you! Please stop by here and chat. Making dinner is optional. Hey, NST should be a first stop if JCE surfs the net and post anywhere. Heck, I'll make dinner! OMG, how can they say a woman cannot wear this. I think it smells better on me than on my husband, actually it starts smelling kind of feminine on him after a while….It just is so earthy and wonderful on me that I think it is better suited to a woman OR a very fair skinned man. Has anyone anythoughts on skin tone in accordance to how a perfume wears? Who said a woman couldn't wear it?? I wear it, at any rate, and also love it layered w/ other scents. I don't subscribe much to the notion that skin tone matters to how a perfume wears, but I know many people do. This fragrance really evokes a wonderful, warm earthy feeling. It's a very unique sensation that after smelling so many times on my skin I still cannot make up my mind whether I like it or not. It is certainly unmistakable though, and I can smell anyone who wears this fragrance instantly. I bought this in December 2006 and have loved it ever since. Actually, it would be fairer to say I've loved it more and more ever since I fist bought it. It's a fragrance which really unfolds itself to you gradually. It's slightly ovepowering when you first put it on, but if you get the amount you put on right, it is a stupendously well-blended and elegant fragrance, which amost always attracts compliments and interest. Whereas most male frags get slightly darker and creamier as they dry down, Terre actually gets lighter and more delicate the longer you wear it and projects a light and elegant aura off the skin. It is becoming a classic for good reason in my opinion. Perfect for most occasions, including, methinks seduction, Any man who carries this off is alluding to a sexuality which smoulders beneath the earthy vibrance the notes from top to bottom in this scent project. This is not a fragrance for wandering ingenues. It is for the assured man who is not afraid to turn alpha male from time to time. I love it to bits. Grrr. Now why are you “grrr-ing” it if you love it? Oh, this is sooo nice. Reminds me of the time I spent in the Southwest hiking amidst the warm, red rocks and “herby” smelling plant life. Wonderfully evocative. Isn't it perfect? Layers beautifully, too. About a year ago my “gay boyfriend” came back from Europe with this and I nearly followed him around our office just to smell him. I HAD to get some for my honey- it is that good. We looked at it in Hawaii last fall but he was just getting ready to deploy with the military so we decided to wait. We just bought some at the duty free while on our “re-unification” trip that we took out of the country lasst month. All I can say is that when he wears it is weakens my knees. It smells better on him than on my friend and stays with him in a really nice way. It totally suits him and I can't get enough! Glad he loves it too! I realize this is waaay late after the post, but hubby and I tried Terre d'Hermès over the holiday weekend. It smelled so good on him even he couldn't stop smelling his arm! Totally disappeared on me… bummer. How odd — but you could still smell it on him? I got a sample of this from Sephora for my husband. I think what I like most about it must be the flint, and also the fact that the citrus doesn't seem sour or overpowering to me. My husband likes how it smells, but he didn't put any on last night. Instead, I put some on… and it does so much better on my skin than on that little paper stick from the store. Which is great, since it already smelled really nice on the paper stick. On my skin, the flint smell comes out so much more. I have a baby and so I woke up to feed her a lot throughout the night and was able to sniff my wrists about every two hours. By the time six hours had passed, it was totally close to my skin but I could still smell it. It seemed like the flint had become even more the predominant scent by then. Finally, this morning, I could still smell it just the tiniest bit if I pressed my nose against my wrists, but it wasn't necessarily the flint that I smelled. I don't know what it was. It smells of lying on a nice, big, warm, gray rock on a sunny but mild day. It's a great scent, I like to wear it too. Layers well also! What do you layer it with? My father is wearing this at the moment — either this or Knize. It suits him wonderfully, as he is a tall, broad and very beautiful man with the face of a Wordsworthian youth (though his gait has become a little heavy, but not lumbersome)… When you see him you would expect him to be donning something like Habit Rouge (beurk), so what a brilliant surprise to sniff him and be greeted by all this whimsical freshness! I am just discovering Ellena’s take on fragrance and so far it has been a pleasure. Has anyone tried the new Parfum? It’s even more wonderful – rich and warm. I gave this a try in Debenhams today. it’s a nice soft airy woody smell. lasts a long time, but not very strong at all. I wouldn’t buy it. it’s just a way better version than “everything else”. I think they’ve made a pure parfum version of it, or eau de parfum or something. I’d like it better if was stronger. I mean I like my perfume to be strong so the whole room can smell it anyway. but this is an expensive mens fragrance, and I wouldn’t pay for just me to smell it, because its undetectable unless you put your nose to your arm (I forgot I had it on until I smelled my arm). I adore it! But then I don’t really want the whole room to smell what I’m wearing. I just got this and am really enjoying it. it smells pretty dark and truffly on me and a bit mossy too. My husband just got a 100ml bottle as a gift and I automatically took it… Reading your review Robin, I can tell you that this is a fragrance I would wear even if it is being marketed as a men’s perfume. But then, there was a time back in the early 90’s when I wasn’t too scared to wear Fahrenheit… So I think I am open to teh idea of wearing men’ perfumes. I am 43 years old and find many floral scents ‘too girly’ for me now especially this new “gourmand trend” which I find nauseating (sorry if I am offending anyone. I find myself looking for “more edge” perhaps or a more unique statement… At some point, I raved about Givenchy’s Eau Torride but sadly can’t find it anymore and may have possibly outgrown it. Robin, would you or any of your readers have suggestions for me? I never thought about it, but it does look very Kenzo. I received this in the mail a few days ago – bought unsniffed! Which I haven’t done for years, having (apparently) learned my lesson by now – and I love it. I figured it was a safe blind buy given my love for Cartier Declaration (another Ellena) and the surplus of positive reviews on the Interwebs. It starts off very similarly to Declaration, with that spicy, bitter orange top note, and at first spray I was a little disappointed – I already own Declaration, I don’t need a clone. But Terre takes an entirely different path right after the open. I find it has much stronger vetiver and leather notes, along with a lovely, peppery patchouli undercurrent. The vetiver is salty and almost briney, and the heart of the scent has a really nice salty, warm-skin quality that is absent from Declaration, which is far drier, spicier, and more arid. I don’t get much of the purported mineral quality, or the supposed benzoin, but they are present in a soft way. Overall I find Terre a smooth, woody vetiver with some well-dosed citrus and patchouli. It seems to have slightly more body and heft than the very dry and sheer Declaration, but Terre is just as translucent and easy to wear. I’m genuinely struck by its salty, marine-like quality, which I wasn’t expecting given all the talk of its citrusy, flinty character. I can see Terre working well in cooler weather, whereas Declaration is almost entirely a summer scent to me. A lovely scent, elegant but rugged at the same time. Now I’m off to score samples of Poivre Samarcande and Vetiver Tonka, because I love how Ellena handles pepper and vetiver notes, respectively. Robin, if you can spare a moment, I’d greatly appreciate it: have you smelled the Parfum version and how does it (to your nose) compare to the EdT? Thing is, I’ve only smelled the latter and couldn’t warm to it for its sharp mineral note. I hear the parfum is smoother but, for all I know, that might be ‘dull’ spelled backwards. I’m wary of buying blind even though 30ml is a deal. Any thoughts? Oh, no worries, Robin! I’d browsed through several of these discussions and got away with a pretty good idea of the differences. It’s just that I’ve followed your tastes for years and know you to be a Hermes fan girl, so naturally I thought it best to ask you for advice. I’ll let you know if I take the plunge. Thanks for taking the time to get back to me ??? ?